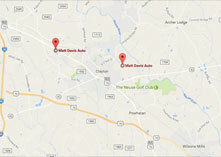 Expert 4WD & Auto Offers Auto Repair Services You Can Count On! 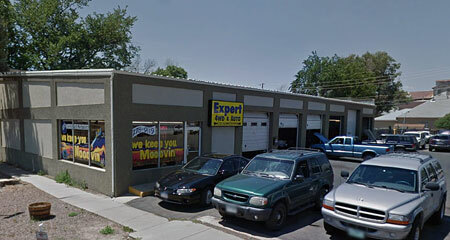 Since 2000, Expert 4WD & Auto has provided motorists in the Loveland, CO 80537 area with comprehensive auto repair services that include 4x4 Services, Brakes, Car & Truck Care, Domestic Cars & Trucks, Electrical Services, Electronic Services, Engine & Transmission, Engine Maintenance, General Services, Heating and Cooling Services, Import Cars & Trucks, Miscellaneous Services, Tires, Towing, Transmission Services and Undercar Services. Our goal is to offer the best services available at affordable prices to get you back on the road in no time. For a high-performing vehicle, trust Expert 4WD & Auto with your car, truck, or van. To learn more about the services we offer, please contact us by phone at 970-278-9119 or send us an email. We also invite you to learn more about our dedication to you, our valued customer. I've been coming here for 2 1/2 yrs, I can't say enough about how professional, honest and reliable they are. Joe is great, straight forward, honest and answers all my questions. Thank you!!! Had a clutch replaced on 1988 f150 4x4 that had a vibration problem, took truck back in and Joe and his team took prompt care of the problem. Truck now runs perfectly. These guy stand behind their work! Great job Expert 4x4! My Jeep wouldn't pass emissions due to a Evap Emissions leak code. Joe and Larry ran a test to find that there was a crack in the gas tank. They were able to fix it quickly and get me back on the road. The customer service here is superior, everyone is friendly and helpful. I completely trust them. This is the 3rd time I've had to bring in my Jeep and every experience has been great. I highly recommend them. Thank you. This place is great. They will go out of their way to help. Honest and when they tell you they are having your car or truck ready it is ..... No excuses. The only shop I can trust with my car. They have never disappointed and deliver good and timely services. This is the only shop I will allow to work on my vehicle. They do very good work at a reasonable timeline and price. Would never hesitate to recommend them for any work needing done. I have used them for years. I've been able to TRUST. My front brakes were shot and I needed them fixed before the weekend. Joe got me in on short notice and his crew did an awesome job fixing the brakes and a front wheel bearing. The cost was reasonable and I always feel confident when these guys work on my vehicles. I recommend them highly! Always amazing service. These guys are prompt, honest and great at what they do. Highly recommend. Expert 4WD takes care of their customers and stands behind their work. I will without a doubt be coming back here for any future repair needs. They're a good honest shop and know what they're doing! Never had a bad experience. Everyone in my family has taken our vehicles (well over a dozen) for the past 10-15 years. I live in Denver now, but still take my vehicle to Expert 4WD. I've been treated with respect, but am always answered with honesty when asking the hard questions. Really cannot thank Joe and Larry enough for the years of service! I have no plans on changing mechanics in the future. These guys were very, very nice and very helpful! Our blower in our car went out in the middle of a snow storm and these guys let us stop by with no appointment, fixed our issue, got us out within 15 mins. Highly recommend! Good people run this place. Rates are good. Expert 4x4 has been the go to place for car care for the family for 15 years or more. They always treat us with respect and are very fair in getting the work done at the best price they can offer. 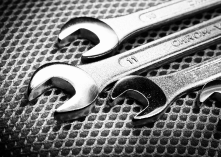 You will never regret letting them repair or simply maintain your vehicle. My family has taken our vehicles here for years. Very professional and honest! Really just wonderful people all around! I would recommend this place to anyone! Amazing service. Treat you like family. These people know their stuff and are trustworthy. Wouldn?t trust my car anywhere else. Best service in Northern Colorado! After 30,000 miles on a new engine in my 2011 Jeep Liberty installed by this shop, I feel the need to thank them for a job well done. Not one issue with the install and the service was excellent. Will use again, no question,. I am fairly selective in giving out positive reviews online but Larry and his team have earned it for repeated positive experiences in fixing my vehicles. All I can say is that this team does everything in its power to make sure you are taken care of in an industry know for the opposite. What else is there to say. They deserve your business. Quoted me considerably less than other shops (30-40% less) for a clutch replacement. The turnaround was wasn't the quickest, but were willing work around my schedule and meet me on a day they were closed to get my car back before a holiday weekend. Would highly recommend; great experience working with this shop. They have done work on my vehicle twice and have done an awesome job and are very friendly! Great honest service in a timely manner! Greatly appreciated!! I have had all my cars worked on by expert4x4 he might be a bit pricey but they do the best job on your car and you don't have To take it back in for the same reason twice like other shops that rip and screw you I know the main guy and he is great to work with! We got great service, fast turnaround, and all at a reasonable price. We were very pleased with the results & now we know where to go for repairs. Our experience was terrific. If someone asked me where to go in town for repairs, this place would be my first mention.